Fact Of Life #1,276: Floors get dirty. We all know this. But if you have kids, or a dog, or a cat, or husband, they get dirty fast. We have a strict “No Shoes In The House” policy (take them off at the door please), yet the floors are constantly dirty. Which is appropriate in a sense: a home is not a hospital, kids ought to be playing outside and soil will follow them in; same goes for the dog. Nevertheless, dirty floors annoy me. The shedding hair from pets alone can get out of control very quickly. 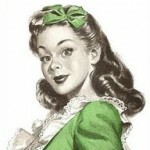 I don’t like climbing into bed at night with soil and dog hair stuck to the bottom of my feet — yuck! When I first learned about the original Swiffer (15 years ago, or so), that was a giant leap forward, but you still had to use a broom for the big stuff. Then the Swiffer Vacuum came out, which replaced the need for a broom and dustpan almost entirely. (If you don’t have one, I urge you to pick one up — they are handy.) But even with the Swiffer Vac I would be doing the wood floors once or twice a day. 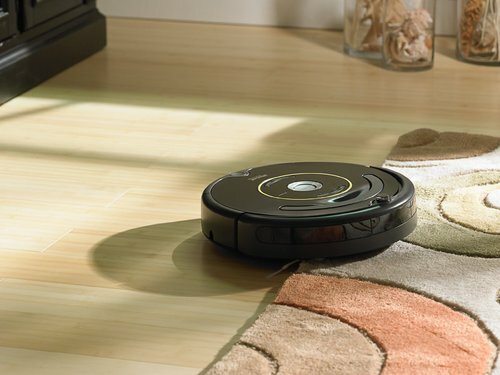 I had heard about the iRobot Roomba when they first came out, but they’re pricey, and I was suspicious about their effectiveness. Well last Christmas my husband got one for me. Yes, I recognize the cliche of a husband buying his wife a vacuum for Christmas, and we did laugh about that. At least it’s a vacuum that I don’t have to use. The first time I turned it on it went under the entertainment center and got itself stuck. Super — so much for that great idea! 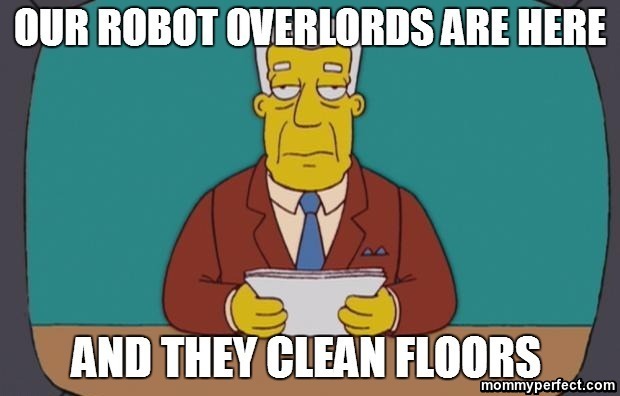 Then my husband read the manual and showed me that it has these nifty things called “Virtual Walls”; devices that you place on the floor and they tell the Roomba not to go there. This would be appropriate to put at the top of a set of stairs, for example. I placed one under the entertainment center and surprise it never went back under there. Great! Time to let it loose on the whole house. The Roomba runs in this apparently random pattern, zig-zagging back and forth around the room. At first I thought that ours was “mentally challenged” — it appears to wander randomly about. But apparently it follows some algorithm to ensure that it gets everywhere in the room. You do have to keep the house tidy though — you don’t want to have clothes and toys all over when the Roomba is trying to clean, which isn’t a bad thing as it encourages everybody to pick up after themselves. For the first few days I would turn it on, follow it around, and watch what it did. It’s quite interesting and it actually got all the soil and hair. Quite thorough. When it is finished, or when the battery is running low, it takes itself back to the charging station and parks itself. 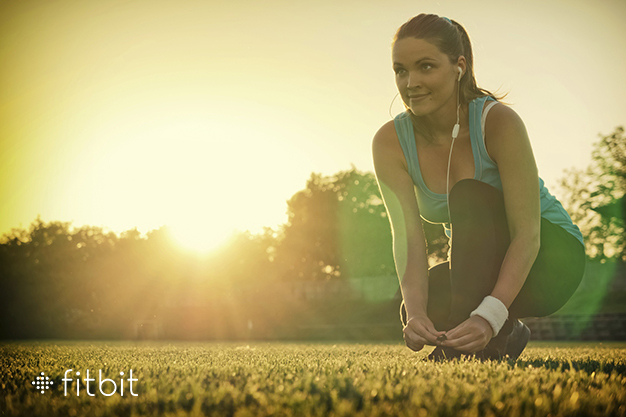 It has a timer which you can schedule so that it will get to work automatically every day. I prefer not to use that feature in case the kids left something on the floor, so I’ll do a quick walk-through, then turn the Roomba on. For the most part it can manage to get around most of the obstacles in the house, but it can get snagged on a cord or a sock if it’s left out. Occasionally it will lodge itself into a tight spot that it can’t extricate itself from. One time it went missing for a few days. I looked everywhere for it. I began to think my kids were hiding it as a practical joke. I finally found it days later stuck in a spot I hadn’t thought to check — wedged in a corner behind some curtains. Fortunately this is rare. Although I don’t have carpets in my home, the Roomba will work equally well on pretty much all surfaces: carpets, tiles, or wood. It automatically adjusts its height to the surface. It can navigate over slight elevation changes, like where carpets meet tile, but obviously it can’t go up and down stairs. It has a small bin where it catches the dirt which I change every couple of days. It also has a “spot cleaning” mode which will keep it localized to the area you set it on. For example, my son knocked over the pencil sharpener from my desk; shavings spilled around my desk area. I place the Roomba down on the mess and press the “spot” button — it won’t go wandering around the house. When your little one knocks over their Cheerios, use the spot button. I should mention that the Roomba is only for dry cleaning — don’t use this on wet spills. iRobot does have a different device for wet scrubbing called Scooba, which I haven’ttried. human hairs will get wrapped around its rotating brushes, much like traditional vacuum cleaners. 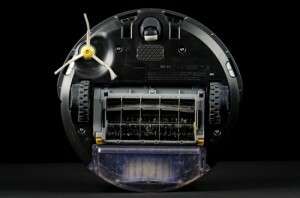 iRobot includes a small tool that aids in the removal of the wrapped-up hairs, so its no great chore. All that being said I love the little thing. I don’t have to fuss over the floors anymore. 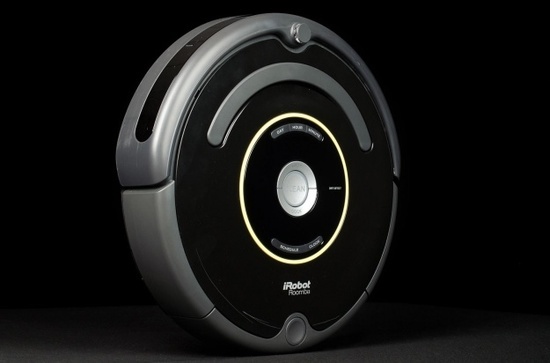 Roomba has several models from the basic Roomba 650 ($350) up to the deluxe Roomba 980 ($900). The deluxe model is more efficient and has a longer battery life, but for less than half the price the “basic” model does a great job for me. Get yourself one and let us know how you like it in the comments below. Already have one? Tell us about it or share any funny stories.